As shown in the animation, an isolated muscle fiber has been placed in a vial of deoxygenated blood. 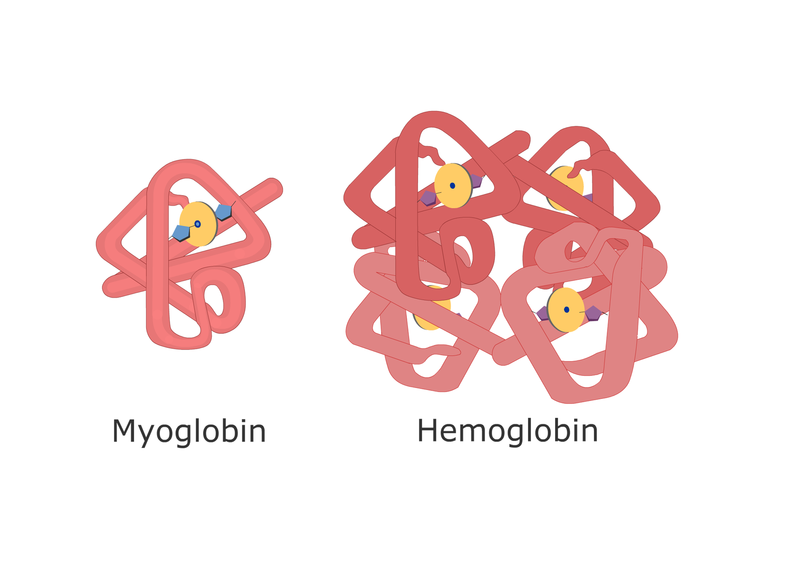 Inside the muscle fiber, each molecule of myoglobin can bind one O2. The O2-Mb bond is reversible, and the direction of the reaction is dependent on the concentration of O2 (partial pressure or pO2) in the surrounding fluids. 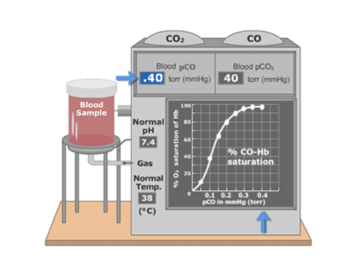 Therefore, as more O2 is forced into the vial of blood, the myoglobin becomes increasingly saturated. 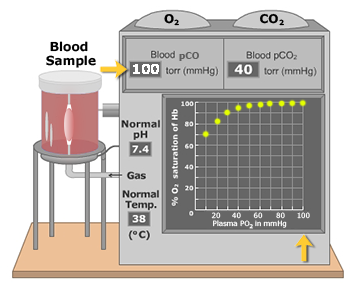 Myoglobin becomes saturated as o2 is forced into the blood. The steep (= hyperbolic) dissociation curve indicates that much lower concentrations of O2 are needed to saturate myoglobin molecules compared with hemoglobin molecules, which have four heme groups. Carbon monoxide poisoning occurs when carbon monoxide binds with hemoglobin’s four heme groups. 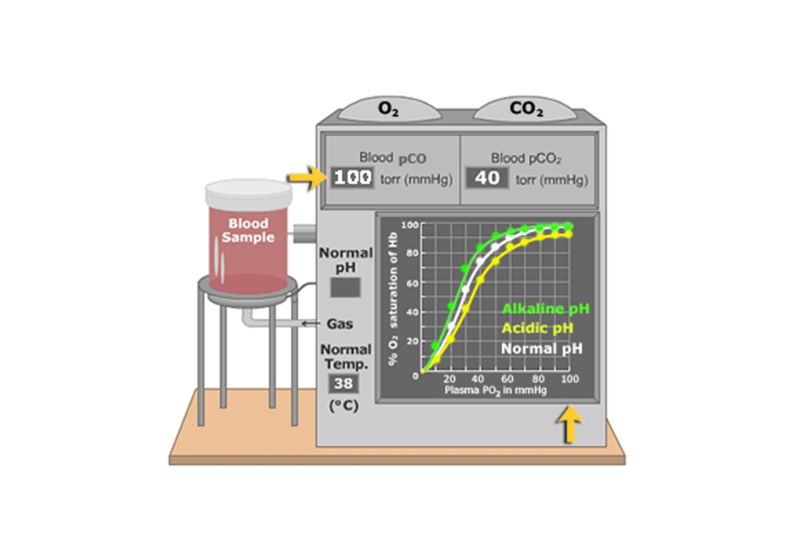 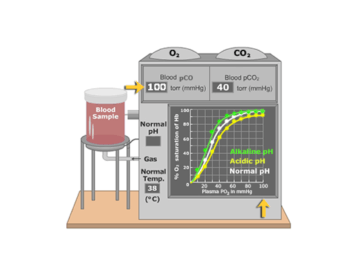 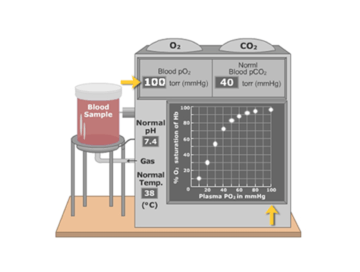 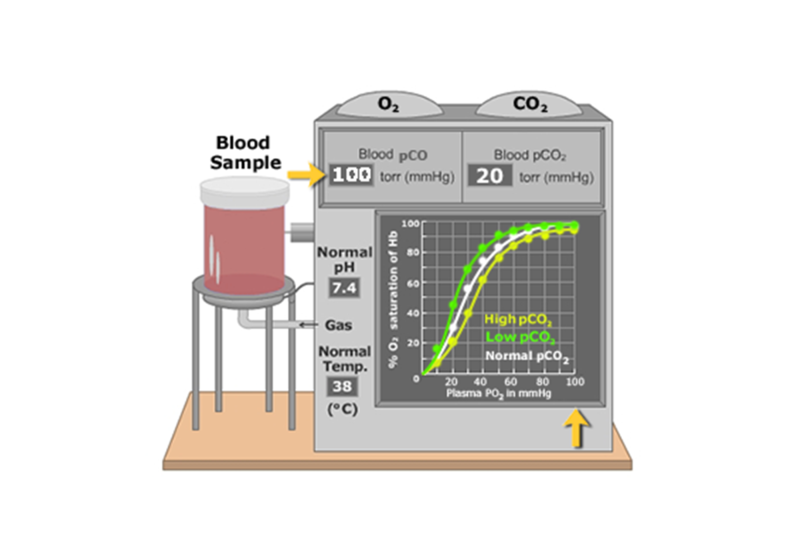 This interactive tutorial demonstrations carbon monoxide association with hemoglobin is directly related to the plasma partial pressure of CO. O2 cannot be distributed as needed to the body’s tissues if an individual breathes in a small amount.